You wrote that the game will set in the 60’s – 90’s. How will these time periods be organized in the game? Will it be linear and as in all years will pass gradually during one game or will there be different eras? Or something else? No eras, just time and new vehicles/technologies appearing. At least that is planned for now. You also wrote in the description of the game that prices will vary gradually, but some of our subscribers argue that there were fixed prices within Planned Economy in USSR and it’s unrealistic. How can you comment on it? Is just misunderstanding. First in the game there is no currency in your internal economy (just like in real socialism). In socialism there was currency, but prices was fixed.. those currencies cannot be exchanged for dollars, or even foreign currency of other socialistic countries.. because those planned economy currencies was not real currencies, but in fact they work more like “food tickets” than currency. So back to how it works in the Soviet Republic game.. in your internal economy you not solve currency at all.. you just manufacture products (like food or clothes) and transport it to shops where citizens will get them… you not manage prices etc, because it would be too much micromanagement or too complicated to get working.. The currency mentioned in the store page description, are rubles and dollars, those currencies are used for foreign exchanges.. Even if you are socialistic country, you most probably need trade with foreign countries (western or other socialistic countries), at least until you will 100% self sufficient.. because you may not have all you need.. for example there is needed huge efforts and many factories to get all resources to construct a car.. or get all material for constructions.. so you can purchase resources from foreign countries… also if you have more steel than need.. or any other resource.. you can sell to foreign.. those prices of resources or global market are changing and fluctuating. How will the gameplay be organized? Will there be a campaign or one big sandbox with periodical objectives? Right now game is only sandbox, even without any objectives.. but they are planned.. it’s still shaping out, but most probably there will be some objectives rather than campaign. 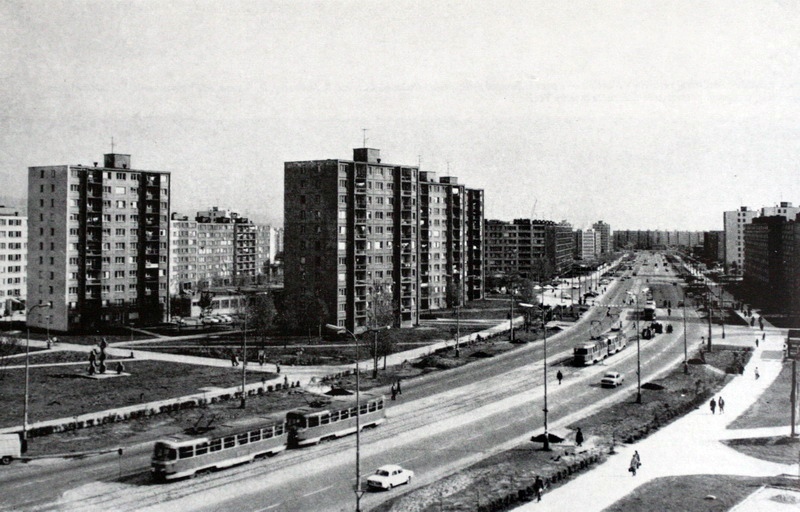 Trolleybuses are a distinctive feature of many Soviet cities. 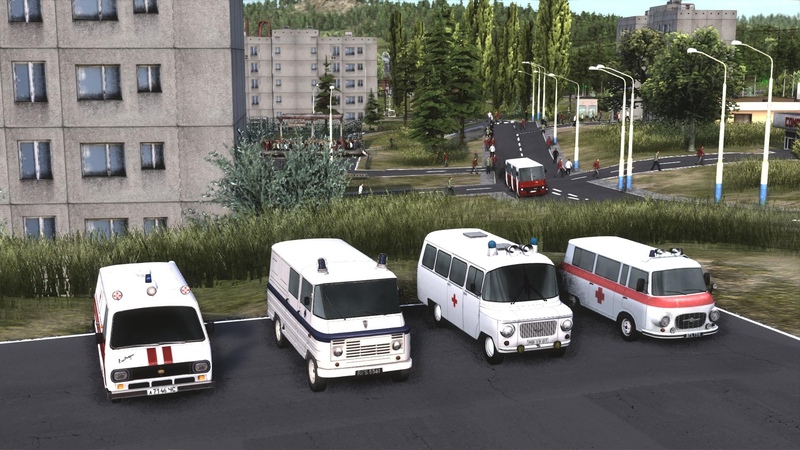 It seems to us that you forgot trolleybuses in the pictures from Steam description. Will this transport be in the game? On what engine is the game being developed on? How many objects (people, cars) can it support without lags? Game is custom built engine on DX11, I believe is fast engine.. but those kind of game are quite hard for performance. The map from 5th diary (500 buildings, 20 trains, 100 road vehicles,14000 population) runs on my PC (4×3,5Ghz + GTX 1080) on highest setting around 30 FPS, but as you can see is massive draw distance, and quite big city.. you still can decrease details.. also game is playable on current notebooks with basic gaming graphic cards (integrated graphics card are not enough to run game). Also our next focus will be optimizing CPU so hope we get more performance during Early Access. Do you plan Russian localization for the game and special price for RU segment? Will there be any kind of interaction between player’s cities or is each new game a new city that does not connect with previous ones? Yes, every time new without interaction. Do you have any advisers who help you to implement a post-soviet setting? Or do you live in CIS by yourselves? Will there be a political part in the game? Only partially, I would like to game have more city builder than political, but there will be some aspect, like police, demonstration, etc.. but far away from political simulator.